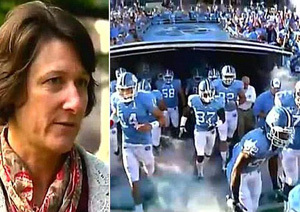 University of North Carolina officials appear to have violated state law when they criticized a reading specialist who concluded that some basketball and football players couldn't read at a third-grade level, the head of a government accountability advocacy group says. School officials' actions make UNC-Chapel Hill look like a bully, and they will make others hesitant to come forward, the president of the Government Accountability Project wrote in his letter to Chancellor Carol Folt. GAP President Louis Clark urged UNC-CH to investigate whether school officials have harassed or intimidated Mary Willingham, who worked with athletes and researched their reading skills. "In my 36 years of dealing with whistleblower cases, this course of action seems necessary and palpably prudent, and I implore you to undertake such a step immediately," Clark wrote in the letter, dated March 6. He also demanded that the school release the names of a third-party independent board that school officials have said is investigating Willingham's analysis of athletes' literacy. "Specifically, how were members selected, how is the panel's independence guaranteed and what is its current status?" he wrote. UNC responded Friday evening to GAP, a nonprofit based in Washington, D.C., that calls itself the nation's leading whistleblower protection and advocacy organization. School spokesman Joel Curran said the school expects to release an external review of Willingham's data soon. He also pointed to the hiring of Kenneth Wainstein, a 19-year veteran of the U.S. Justice Department, "as independent counsel to conduct a new inquiry." The school hired Wainstein in February to conduct an independent review of irregularities in an academic department featuring classes with significant athlete enrollments. Neither Wainstein nor UNC spokeswoman Karen Moon immediately responded when asked whether Wainstein's is investigating Willingham's claims or treatment. North Carolina's law says state employees should "be free of intimidation or harassment when reporting to public bodies about matters of public concern ..." It also says employees can't be discharged, threatened or discriminated against for reporting problems, including gross mismanagement or gross abuse of authority and fraud. In a CNN story in January, Willingham said her research on 183 football or basketball players at UNC from 2004-12 found 60 percent reading at fourth- to eighth-grade levels and roughly 10 percent below a third-grade level. During a Faculty Council meeting, Provost James W. Dean Jr. said the findings were based largely on standardized scores in a 10-minute timed vocabulary test that isn't an appropriate way to measure literacy levels. Dean, the school's top academic officer, called it "flawed analysis" and said it was unfair to use the data to say students can't read. He said outside consultants will review their analysis of Willingham's data. That's a classic response to whistleblowers, Willingham said. But she said what's important is the students. "It's about the athletes who are not getting what we promised them. They're not getting a real education. ... And they leave without anything except some injuries and some concussions," she said. She said she hopes her situation results in a policy that protects whistleblowers and produces real leaders at the school. "We have amazing people who work at this university," she said. "We need leadership. We just don't have any." In an interview, Clark said he was hopeful when Folt said in January that academic oversight had failed for years, leading to no-show classes with significant athlete enrollment and unauthorized grade changes. 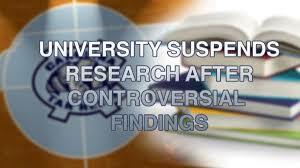 But he's disappointed with the university's response to Willingham's research. "She doesn't need to embrace the cover-up, and she doesn't need to sit there while the provost essentially trashes Mary in front of the faculty," he said of Folt, who is in her first year as chancellor. In his letter, Clark takes issue with three parts of school officials' response to Willingham's analysis: comments made in response to the CNN story; the Jan. 17 faculty meeting; and Dean's public statements. UNC-CH initially denied Willingham's claim and called it unfair to student athletes, and said the university had not seen her data. The denial and attempts to discredit Willingham resulted in UNC-CH being perceived as a bully, Clark wrote. "This conduct has a chilling effect that will dissuade other potential witnesses from coming forward," he wrote. He also challenged Dean's comments in a Bloomberg Businessweek article where the provost said Willingham "said that our students can't read, our athletes can't read, and that's a lie." Dean conceded in the article that he had misspoken. In a later article, the reporter said Dean said he doesn't think Willingham is a liar. "It is simply unacceptable for a person in a position of such authority to make disparaging comments about an employee who has raised legitimate and important concerns about the education of student-athletes," Clark wrote. The school's whistleblower protection policy, which relies on state law, says school employees should be "free of intimidation or harassment" when they come forward. Considering the public comments from school officials, "it is difficult for me to see how these occurrences do not qualify as unlawful intimidation or harassment and violations of both the UNC-CH policy and state law," Clark writes. Editor's Note: What do you think? Follow Martha Waggoner on Twitter. I think criticizing only doesn't help what helps the most is to make sure that they educate their players as we know education is the great virtue to anyone regardless of having talents or what. I agree. I feel that once these students graduate and go out into the real world they will only be hindered. It is sad that this faculty member was pointing out a problem within the athletic programs and was punished for it. I was sad but not surprised that the Provost did not support the faculty member who brought attention to the athletes' reading level.The author mentioned that the test used was just a 10 minute vocabulary test, and I agree that is not an appropriate way to gauge a person's reading level. However, it is unclear if that was the actual test used in this situation. Athletes provide a large part of a school's income, so it is not surprising that the administration would try to protect that interest. The fact that some University's personify these athletes into demi-gods is saddening. The institution would obviously opt to protect and support them first because of this. This is probably not the only university with players that read at a fourth grade level, unfortunately. America has placed such an emphasis on sports, and as PARKS2014-02 said, “Athletes provide a large part of a school’s income, so it is not surprising that the administration would try to protect that interest”. I personally do not see why Americans place such emphasis on sports, and not on science, math or in this case reading. A student must be able to read proficiently to understand the subjects being taught in college and to communicate in the ‘real’ world, outside of college. I think it would be wonderful if Americans put just as much emphasis on the science, math, and English/language/reading fields as they do sports to actually make a difference in developing America and prosper…rather than sitting around watching entertainment/sports. It is detrimental to the instructors at the universities that want to help these students learn, and are harassed and intimidated. I have had two instructors from the community college I went to tell a few of us students the reason they are no longer teaching at ‘well known universities’ is because of the politics of having to give the athletes a passing grade, even though they did not or could not do the work. So, the instructors are intimidated and harassed even when they are not blowing the whistle. Reading this was sad. If the data is accurate and it is true that some of these athletes have poor reading skills, we can assume that it is not the only university where athletes with poorly developed academic skills. I hope that institutions in general will be able to provide accurate help and support so that these deficits can be fought against. Sport is important but so is education and if those you won't make it to a professional level need to have at least moderate academic skills to be able to compete in the job market. Exactly. Universities need to develop a system that will keep track of the athletes academics and provide help if needed to make sure they do well in class as in sports. Like in Park where we have progress reports and the academic support centre which helps athletes and other students in general to maintain a certain required academic standard. I agree with this, but it should also be in the students hands to make sure they have their grades up. They are student-athletes not athlete-students. This system works at Park because it is a small campus. Schools like North Carolina would find it impossible to implement a similar system. Although putting emphasis on sports is good, universities certainly need to focus on the education of the athletes and their progress. Out of all athletes in America, only a small percentage of them go pro which leaves the rest to search for jobs. and without education or failing to merely read as its been stressed out in this article, then these athletes are left jobless a the end of their sporting years. Universities need to develop better ways to keep track of athletes performance in classes to make sure they are steady. I think that they're are some instructors that stereotype the student athletes and due to self-fulfilling prophecy, these students perform poorly in these classes. I agree, reading this was sad. Seeing the reports were finding college athletes with grade school level reading skills doesn't just reflect the college but can also reflect where the students come from as well. Why are they still at such a low reading level? Why wasn't it discovered BEFORE entering into college? Isn't there an entrance exam into most colleges testing the potential students` skills in order to place them in classes adjusted their levels? Seeing the harassment that Willingham was undergoing seems to me like a guilty party being embarrassed about the students they have. I don't think it's necessarily anyone's fault about the athletes except when it comes to adjusting grades just to keep a team together. It would be interesting to investigate how the athletic department works together with the academics. Maybe tracing back how such a dramatic lack was able to evolve might bring some answers. I agree that we should investigate the close relation of academics versus athletics. I wonder, if at all, if there is any relation. Not say it that the teachers or coaches don't care but when it comes down to it there are different end goals in each profession and we may not be keeping that in mind when viewing the relationship between athletics and academics. i think this article just fuels the well known stereotype that athletes are passed only due to their athletic abilities. these people if they can only read at a 3rd grade level? it isnt completely their fault. their teachers negligence to realize the players lack of ability in academics is on them; yes the students could have asked for help, but a teachers job is to teach. i applaud this person for blowing the horn on these players, because if they hadnt then they probably would have continued onto their lives without knowing how to read better than a 9 year old. so when their careers end and they have to get another job, they wont be able to keep up. i think this was a good thing. I agree with you that this article just fuels the stereotypes of athletes. There are teachers out there that let athletes just slide by because they are good at sports and they do not think it will affect them later in life. It will be hard for the athlete to go out and get a job because they can only read at the 3rd grade level and not all of them will make it to the pros. So I agree that it is a good thing that this article came out. Let's say you work up to college level sports and then something happens, like an injury, where do you go from there? If the stats are right, and these college kids can't read above an 8th grade level then there is a bigger problem at hand. Even if you are in college level sports you should have a higher education to help you propel after college. There should be a greater emphasis on education, such as science, math and of course reading. With that being said, I think this should be true for all students and not just those in sports. With the new age of technology and Google as our close friend, I'm sure reading levels have gone down immensely, not just in sports. i agree with you completely. people need to stop and take a look around when it comes to sports. a lot of the time these students have only ever pursued sports so when that career is over whether it be due to injury or age, they have nothing to fall back on. there should be more emphasis put on schooling instead of getting famous and getting rich. not only do they have a lack of drive to learn because they are focused on something else such as sports; but they also have a lack of opportunity because of who they are learning from as well as the what they are learning from. I agree with you when you express that problem situation. The athletes in college must be ready to front life from another position because sports are not going to help them for ever. Sadly the main problem does not start from them and it start from highschool where kids who are good for sport get all the facilities. Athletes believe that they are stars and they do not need to ''read'' because they are going to qualify anyways. There has to be another optic from the entire academic sistem in order to help everybody. i agree that the teachers and parents are the ones who are responsible from their early life. teachers and parents should be the ones to push them to want more for themselves than just to play sports whether it be because its what they are good at or its tradition; a person should want more for themselves. except thats not usually the way that it works because most of the time these athletes are only pushed to be just that, athletes. Even though this study was not done in the best way because she only saw the students for about 10 minutes it still gives an insight that some college students can only read at the 3rd grade level. Maybe it will show the universities that they cannot just let some athletes just slide by because it will affect them later in life. Not all of the athletes will make it to the pros because they might get hurt, so what do they do after that, because they might have a hard time finding a job if they do not read at a higher level. The universities should be more worried about the education then the sports because education helps all the students in the long run. I believe that in United States Athletes are the best thing that have happen in life. Kids grow up with that thought and that entire situation grew up until this point. College students are not ready to front the difficulties that University has. Athletes have passed through highschool with that poor level of education because they have been the stars everywhere. So, they do not need to study because they will qualify for sure. Finally this is a huge problem that only harm those players who might get the degree. However after sports can help them anymore they are not going to be ready to get a good job because of their condition and ability to perform. In certain point they are the victims of this sistem but they also have a lot of responsability in this problem. They could put some effort to progress and improve but i do not believe that they do. This article really did not surprise me. It was definitely sad to read, but not surprising at all. I played softball for a junior college and worked in the athletic office for the sports counselor. Although he did a very good job at getting athletes their classes, they were generally ones they knew you would pass without a problem. Even the athletic director did everything he could to get people into classes (more so when it came to football players). There is definitely something that needs to be done about this. The fact that they are targeting the whistleblower is unacceptable. All she did was show her findings from the research she conducted over several years. They are student-athletes not athlete students. They shouldnt have to have someone hold their hand just so they can pass classes but I do think grade checks are a good thing to have just so if they are failing they can get the help they need to pass the classes. This so called "whistleblower" is really just a form of accountability. It seems to me that there ought to be someone ensuring that these students (and I emphasize "students") are getting an education. But, what most of the above comments are neglecting to point out is that sports driven by money. I am not suggesting that is a negative side of sports at either the college or professional level. I am simply highlighting that every business and facet of the sports industry makes exorbitant amounts of money and, as we've seen in so many instances, capital gain almost always takes priority. It's sad, but very true. In other words, for those of these athletes go into the NBA, will having a high GPA really matter to them? I am personally so glad that this event has raised awareness about the deplorable reading levels of college students in general, not just athletes. Many of my peers cannot understand much of the textbook material in several classes because they read at such a low level. The fact that the school has publicly tried to deny the results of the staff's survey says sounds like harassment to me. When teachers and faculty are too scared of loosing their job or being denied a promotion to speak up about important issues, something more than a policy change needs to happen. No amount of school policies about anti-intimidation and harassment toward whistle-blowers is going to stop that intimidation from happening. The school has to reform on many more levels so that they value the education of the student above their public image and athletic program. Great post! I also feel that the reading and writing level of some of my college peers appears to be quite low. I find many of my classes extremely challenging, and I wonder how some are completing classes and moving forward. I agree that the school showed its true colors in how they reacted to the information getting out about reading levels. Time and time again, big universities have shown that money created from their sports programs is more important than the integrity of their grading system and education standards. This isn't true at every school, but the problem is significant and in need of investigation. I think it is sad that some professors will change the grade of an athlete just to keep them in the game. I have never personally witnessed this happen in one of my classes, but a friend of mine has. This person is a Student-Athlete, making them a student at the school first and an athlete at the school second. There should be no way around getting a good grade in a class besides earning it, and by showing that you understand the information for you that has been presented in class. I had a professor who taught at a different university before take a job at mine who said that even though she had a few classes that were densely populated with student-athletes, she expected the same amount of effort from all and that a person will receive their grade based on the effort the put forth on studying for exams and participating in class. It is sad that when a person steps up to raise awareness to this problem that they are shut down. This should not be the case, the information provided should be looked into and then a solution/s should be put in place to better the school, but mainly to better the education of all of the students, not just the student-athletes. Mary Willingham should be commended for her efforts. She knows what she is talking about because of her position mentoring student athletes. Athlete’s literacy is a matter of public concern and she had every right to expose these shocking statistics. The larger question if why some (many actually) public universities still put athletics above the classroom, while allowing the lure of TV money to be held in a higher regard than student achievement, education standards, and equal treatment for all students. Some stars of the field and court have long received preferential treatment and passes in the classroom; although, the majority of student athletes take school seriously and belong in the environment of higher learning, if your jump shot is good enough, many will make sure you “get by” in school. Hopefully, Willingham’s findings will at least attract attention to this historical problem with college sports and garner further investigation and study. It is sad when sports trumps knowledge. This faculty member had every right to bring the lack of reading ability to the institutions attention and a shame that against North Carolina law she was reprimanded. This also makes me wonder how these students make it through college and even stay eligible with the NCAA to play, maybe their teachers are in on it too. This is just a shame.